David I. Drout, MD specializes in Internal Medicine and Cardiology. Dr. Drout is a graduate of Cornell University and UMDNJ, New Jersey Medical School. He did his internship and residency at Cornell New York Hospital and Memorial Sloan Kettering Cancer Center. Dr. Drout completed a Cardiology Fellowship at Tufts New England Medical Center in Boston, Massachusetts. He is board certified in Internal Medicine and Cardiology. Dr. Drout is an attending physician at Riverview Medical Center and currently see patients for Riverview Medical Associates at the Riverview Medical Associates Tinton Falls office. 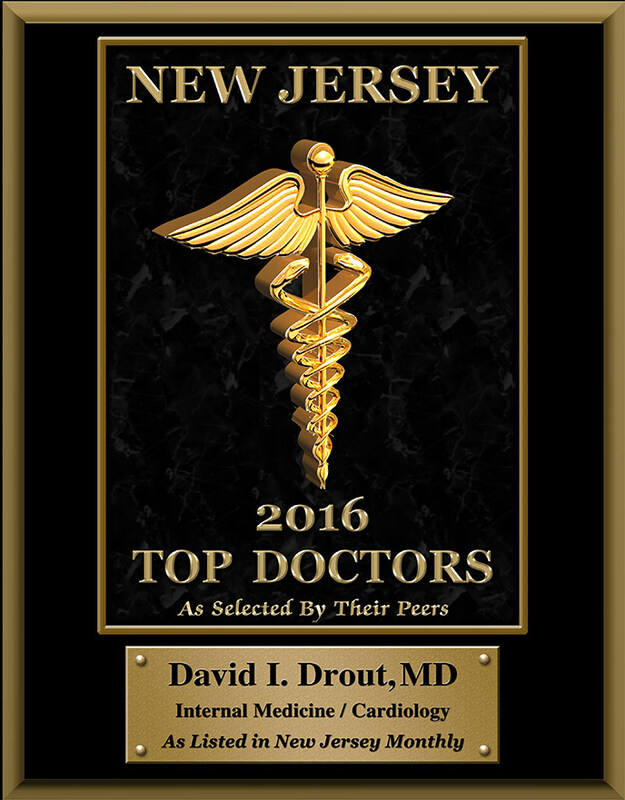 Dr. Drout is one of New Jersey Top Docs 2013, 2014, 2015 and 2016!